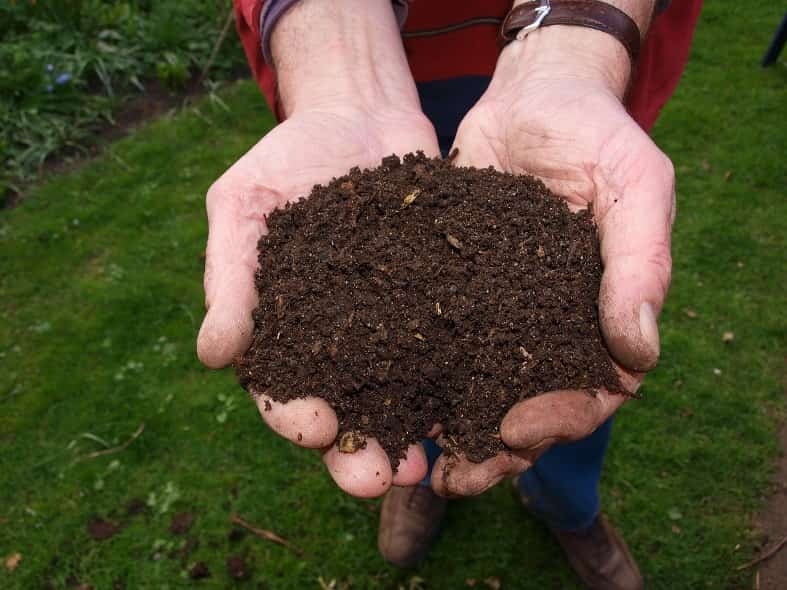 Organic compost is a type of a home-made fertilizer that has the many nutrients required by plants. Organic compost is also known as a natural fertilizer that has humus in it. Humus is a brown or black colored spongy jelly-like substance. Organic compost is made up of animal waste like cow dung, goat, sheep or chicken droppings, urine etc. It is also made form decomposed weeds, fruits and vegetable peels, paper, pencil shavings etc. Nitrogen, phosphorous and potassium are the three main nutrients required by all plants. These three nutrients are also known as macronutrients. Copper, Magnese, Magnesium, Iron, Sulphur, Calcium, Carbon, Oxygen, Hydrogen, Boron, Chlorine, Zinc, Molybdenum and Nickel are required by the plants but in small quantities. So, they are known as micro nutrients. Layer 1: First layer using cow dung. Layer 2: Second layer by adding cow urine. Layer 3: Third layer by adding goat dung. Layer 4: Fourth layer by adding green manure and biodegradable waste. Layer 5: For adding zinc to the soil we used tamarind plant leaves. Layer 6: For adding copper to the soil we will take the leaves of hibiscus. Layer 7: For adding iron to the soil we will add the leaves of the drumstick or curry plant. Layer 8: For adding boron to the soil we will add the leaves of the erukku tree. Layer 9: For adding calcium to the soil we will add the leaves of the thuththi plant. Layer 10: For adding sulphur to the soil we will add leaves of the mustard plant. Layer 11: For adding nitrogen to the soil we will add the leaves of the gliricidia tree. After 90 days compost became rich organic which having sufficient nutrients that are require by crops.